Packing lunches for kids is an art, everyone knows is difficult to get the kids to eat healthy, even in breakfast, so most parents just read some stand mixer reviews, get one and prepare their children pancakes so they eat something healthy. And while we still drool over the lunches our own parent’s packed for us while we were little, you will know how hard it really is to keep things interesting, delicious and most importantly healthy for your child when you pack their lunches. If your child is a daycare goer, they may or may not be able to warm the food before they have it. 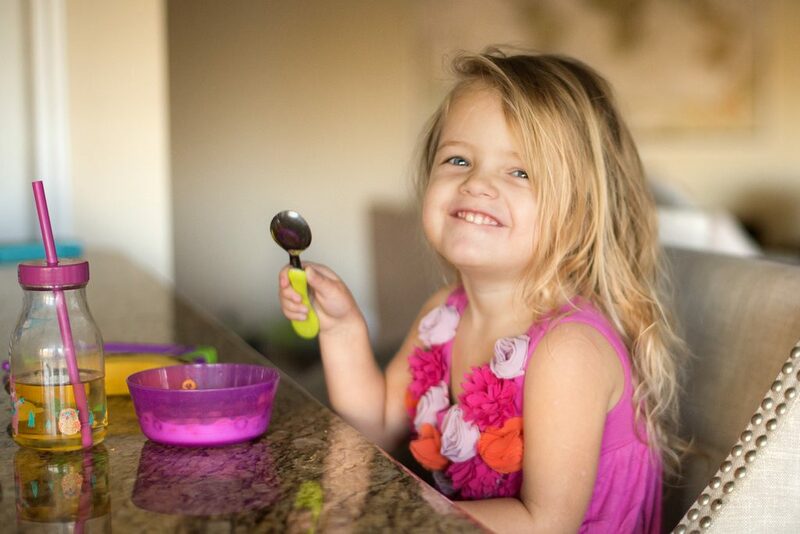 These toddler lunch ideas do not require reheating and they are easy as well as healthy, on-the-go meals for your little one. Simply whisk eggs, milk, salt, pepper and cheese in a large bowl. You can bake these in preheated muffin trays and the muffins are ready in 20-25 minutes. These are good to have either way at room temperatures or heated. Add whole grain crackers or pita bread. Pack some fruit or veggies to go with it and you are set. As the name suggests, the main ingredients in this meal are Avocado and Eggs. Hard boiled eggs and Avocado can be mashed together with a pinch of salt and a little lemon juice. Add hard-boiled eggs on the side sliced or cut in cubes. Pack it with cut fruits of veggies of your choice and perhaps add a little treat for the little one in there too. Use store-bought pesto or use homemade, it tastes the same if you would like to opt out the nuts in the recipe. Mix it into a pasta salad with chicken or cheese (diced), peas and cherry tomatoes cut in half or into wedges. Pair the salad with some fruit. Pancakes can make healthier lunches if it is made with the right choice of ingredients and paired with the perfect sandwich filler. Add fruits and nuts for flavor and spread cream cheese, jam, honey or some butter in between to make the perfect pancake sandwiches. Hummus can be flavored in many different ways so you can keep things varied. You have the regular Hummus, Parsley Hummus, Beet Hummus, Green Olive Hummus, Carrot Hummus and Pea Hummus among other flavors that will go well for the kids. Spread your choice of hummus between slices of milk bread or you can also place the hummus separately in a container and serve with whole grain crackers or veggies. Sprinkle mozzarella before topping cheese and spinach over it on the pizza dough, sprinkle with mozzarella and Parmesan. Roll up the dough to make a long loaf and bake. Cut these into small circles and include a dipping sauce. Pair this meal with fruits/veggies and a simple dessert. Roll up and Slice whole grain tortilla (soft) that is spread with butter, topped with banana slices or any fruit jam. You can also try this with cream cheese added with chicken or turkey slices. You can roll or wrap this to serve as a simple main course. This meal is made by baking rinsed and drained chickpeas mixed with oil, honey, cinnamon, nutmeg, and salt while they are hot. Serve them with roasted veggies and brown rice or Pair these flavorsome beans with diced veggies/fruits and cheese. Make small, bite-size stacks with a thin layer of mayo between cheese and meat. You can also replace mayo with mustard or hummus as you like. Serve this meal with pita bread or toast. Add a fruit of your kid’s choice along with this too! Layer roasted sweet potatoes with plain full fat yogurt and cereal. You can also serve these ingredients separately packed in a container. There is also the option to puree everything in a food processor and serve it with apple slices dipped slightly in lemon juice and water (to prevent the apple from browning. A favorite green veggie can also go along with this meal. You can spoon the yoghurt and oat mixture into a container and serve it with freshly sliced or roasted veggies, softened peas or even with Include a sliced fresh veggies, some thawed peas or leftover roasted veggies, whole grain crackers, and/or some beans. Spread cream cheese and jelly, hummus or mashed beans, herbed goat cheese or nut butter and jam on soft whole grain bread that is flattened with a rolling pin. Slice these into spirals and serve. Great article, For toddler parents very caring because all the time they need to play and not eat properly. So this food ideas are very interesting for toddler with this they can have nutritious and vitamins which they really need for their growth.